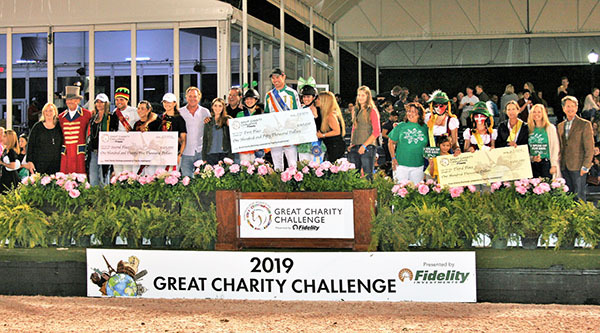 The top three winners at the 2019 Great Charity Challenge were the Holy Ground Shelter for the Homeless, the Kids Cancer Foundation and Speak Up for Kids Palm Beach County. 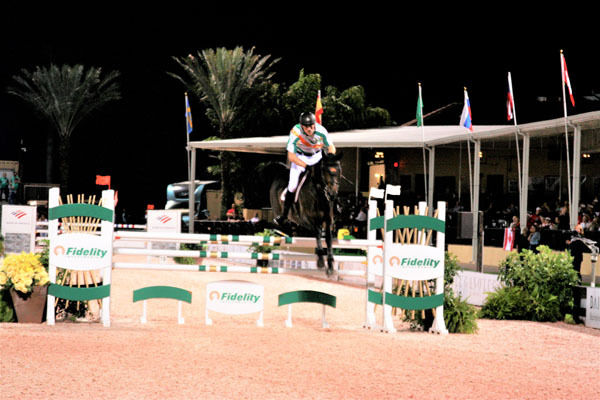 Despite threatening skies, the weather held out and presented a beautiful night under the lights for the 10th annual Great Charity Challenge, presented by Fidelity Investments, on Saturday, Feb. 2 at the Palm Beach International Equestrian Center. 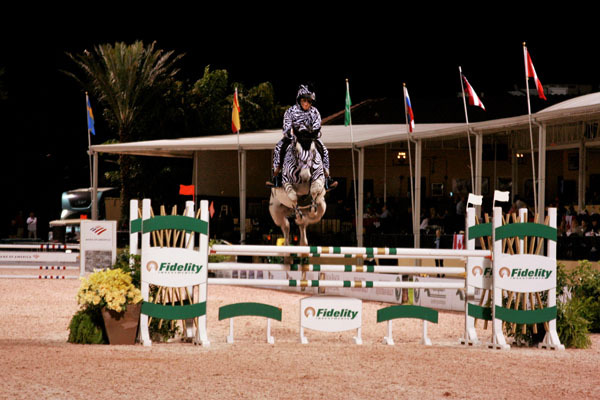 An annual highlight of the Winter Equestrian Festival, $1.3 million in grants and prize money was awarded to a wide array of Palm Beach County charities. 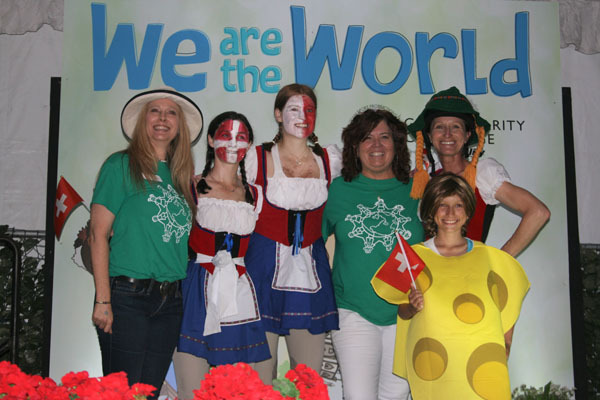 The evening’s theme of “We are the World” focused on bringing the community together, and it did so with great success. The top spot and largest purse of $150,000 went to Holy Ground Shelter for the Homeless with team sponsor Pine Hollow and corporate sponsor Havensafe Farm providing support. 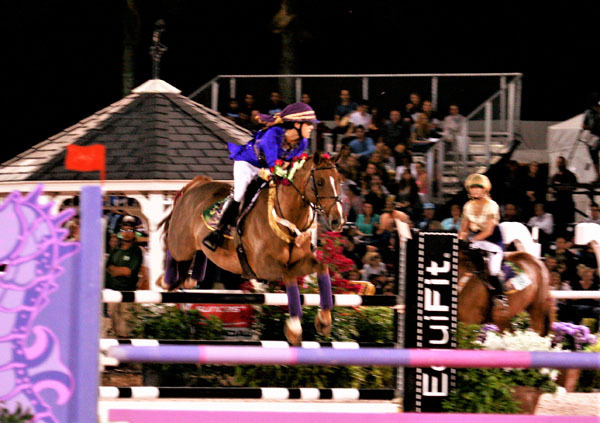 The team of winning riders — David Blake, Carly Dvorkin and Madelyn Ruskin — put up the impressive time of 91.904 seconds in the pro/am relay race format. 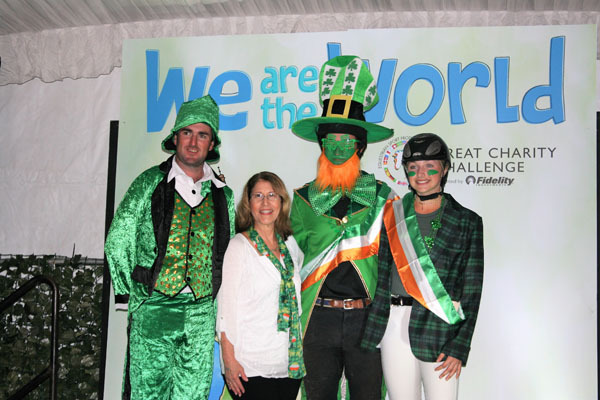 After 10 years of hard work, the Great Charity Challenge has distributed $13.5 million to more than 230 local charities. 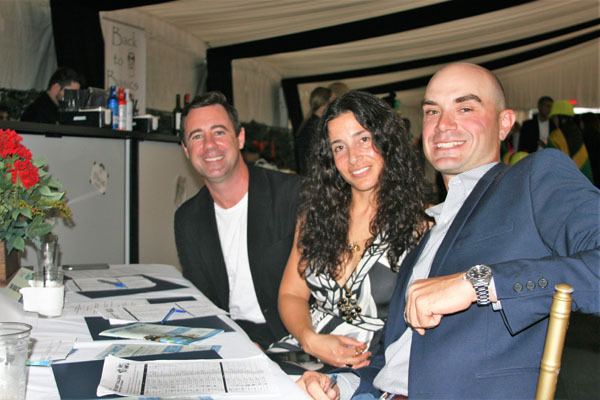 The impact of the money raised reaches far beyond one-time assistance for the winners. 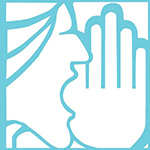 Gregg Weiss, with Speak Up for Kids Palm Beach County, not only drew one of the names for a grant during last weekend’s event, but also knows the long-term importance of the GCC. 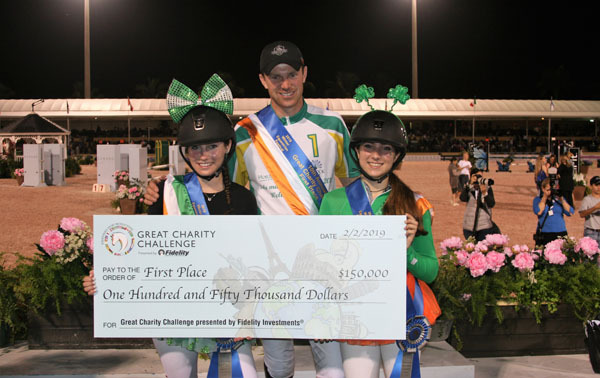 Second place this year and a check for $125,000 went to the Kids Cancer Foundation, as riders Katherine Barnard, Samantha Wight and Daniel Bluman came in just one second off from the top spot. The team sponsor was the Wight Family with corporate sponsor Artemis Farm. 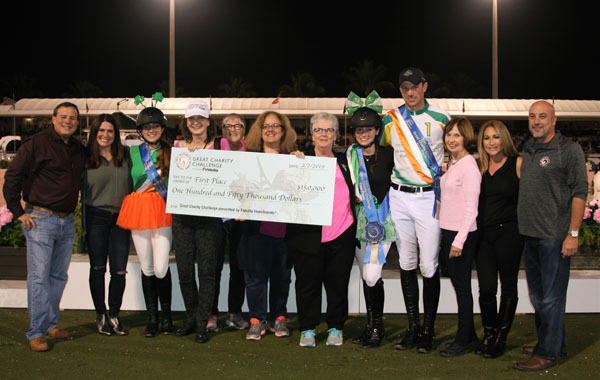 Claire Schreder, Coco Fath and Molly Ashe won the $100,000 prize for third place on behalf of Speak Up for Kids Palm Beach County. 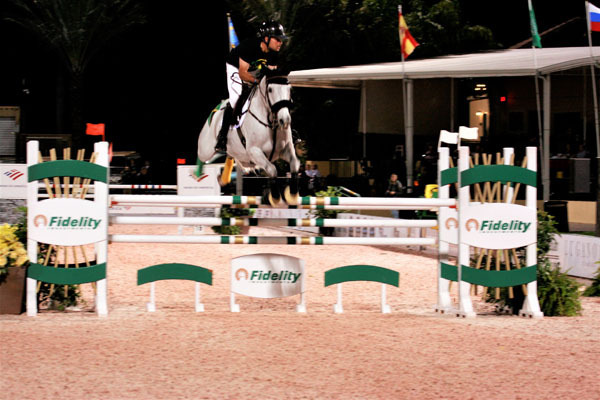 Team sponsor Louisburg Farm and corporate sponsor Fidelity Investments supported the Swiss-inspired riders and horses. Only three seconds separated the top three teams when the competition ended. The top five teams at the end of the evening included the Spirit of Giving Network in fourth place receiving $80,000 and Jeff Industries in fifth for $70,000. 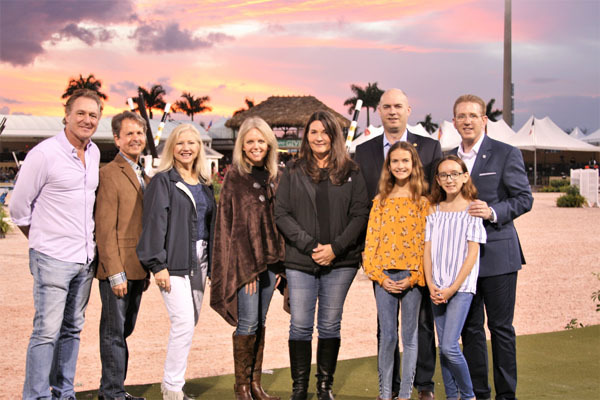 Hope 4 Mobility, the Boca West Children’s Foundation, the Community Caring Center of Palm Beach County, Genesis Assistance Dogs and the Friends of Foster Children rounded out the top 10. In all, 26 teams competed, and every charity went home a winner. Even the final ranked team received a prize for $15,500 for their organization. With the costumes being a big part of the event’s tradition, an additional $11,000 in costume awards were given. Jeff Industries took the top spot and a $3,000 prize for Brazilian-inspired costumes. Friends of Foster Children’s Viking costumes took second place for $2,000, while Back to Basics, honoring Jamaica, placed third and received $1,000. 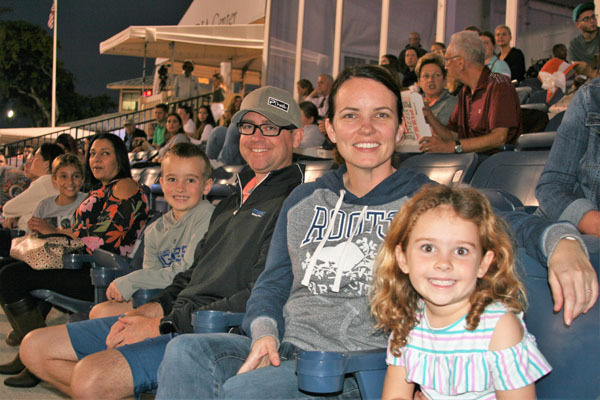 In addition, the Zeigler Family Foundation awarded $50,000 total to five charities. 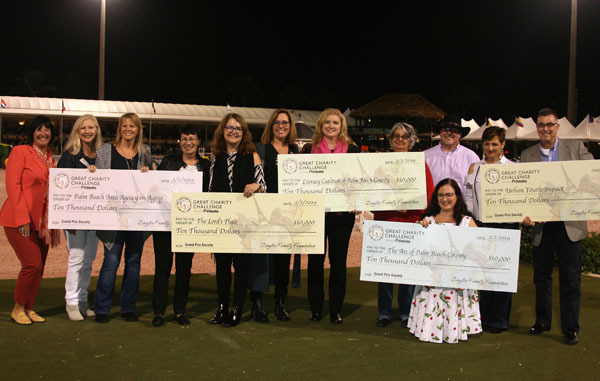 The Arc of Palm Beach County, the Literacy Coalition of Palm Beach County, the Lord’s Place, the Area Agency on Aging and the Urban Youth Impact each received $10,000 checks. 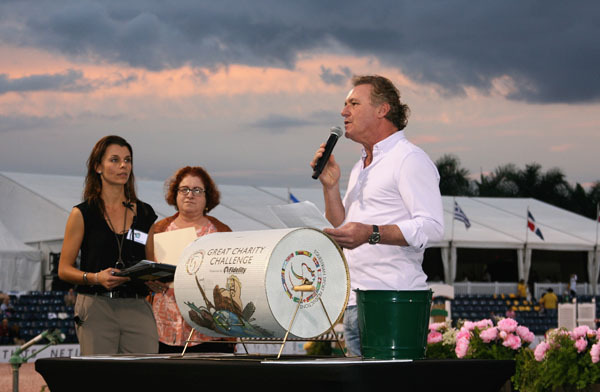 GCC founder Mark Bellissimo, CEO of Equestrian Sport Productions, addressed the crowd of spectators and spoke about the event’s impact. 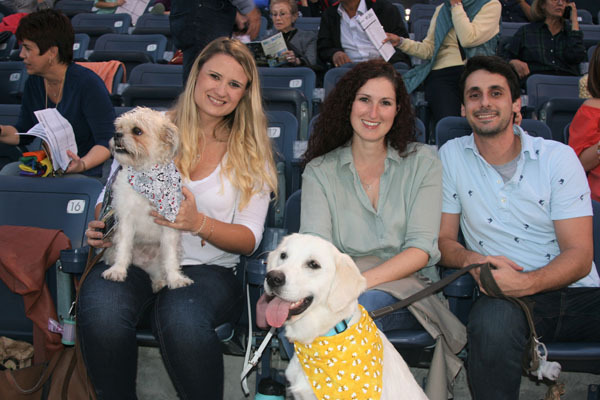 But the evening overflowed with charitable giving as 10 more grants, starting at $10,000 progressing down to $1,000, were selected during the intermission. The winners, in consecutive order, were Palm Beach County 4H Youth Development, the Children’s Museum, the Unicorn Children’s Foundation, the Child Rescue Coalition, the George Snow Scholarship Fund, Student Aces, the Glades Initiative, Nonprofits First, PBC Pals and the Education Foundation of Palm Beach County. In the Wellington public school art contest, Elbridge Gale Elementary School won Most Original, Panther Run Elementary School won for Most Inspiring and Wellington Elementary School had the Best Representation of the Cause — each bringing a $1,500 prize home to their school. The Best Overall prize of $2,000 went to Okeeheelee Middle School. Eight awards of $1,000 each were given to all participating schools, in addition to a few $500 bonuses. Binks Forest Elementary School received the elementary level bonus, the middle school bonus went to Emerald Cove Middle School and the high school bonus was awarded to Wellington High School. 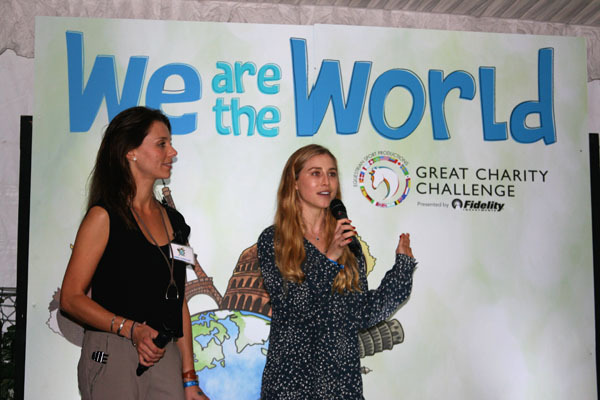 For more information, along with complete results on both the competition and additional grants, visit www.greatcharitychallenge.com.